Ao Nang is a shortened form of the official and previous name for the area of 'Ao Phra Nang' translated as "Princess Bay" and now is more commonly known as just Ao Nang. Located about 800 km south of Bangkok in the province of Krabi bordering the Andaman Sea, Ao Nang has evolved from a small fishing village visited by a few backpackers in the eighties and nineties to Krabi's major tourist destination in southern Thailand. 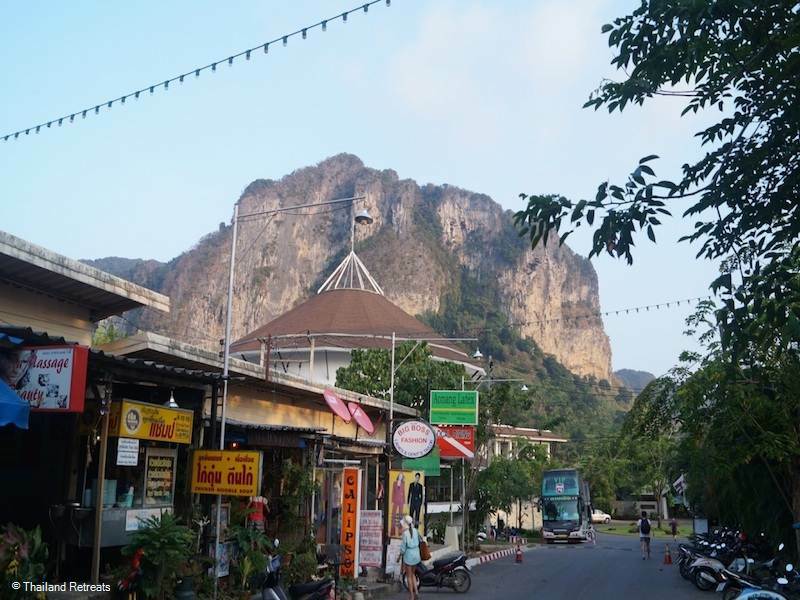 Ao Nang is 40 minutes from the airport located near Krabi town and although the town is busy especially in the high season it has not lost that laid back, friendly small-town feel. Ao Nang town is approached by a road running north to south towards the beach and lined with the usual tour operators, tailor shops, fast food eateries and tourist shopping on either side with the backdrop of a limestone karst to the east. 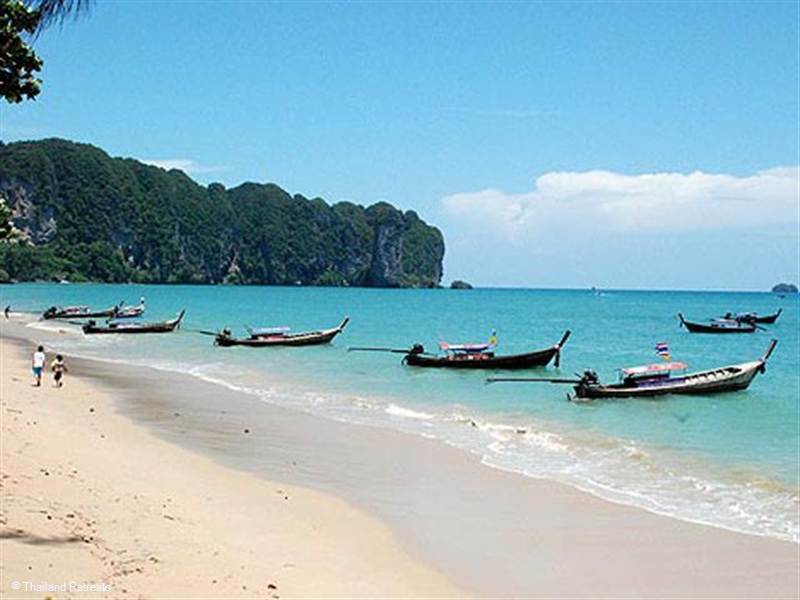 Ao Nang beach at the foot of the town is also the main long tail boat hub transporting visitors who wish to island hop to the paradise beaches of the neighbouring islands including Railay, Ko Hong, Ko Poda and Ko Gai. The best part of this beach is towards the east end away from the longtail boats should you still wish to be close to the town and not be disturbed by the noisy boats. The road coninues east west with a promenade on the beachside and another row of restaurants and shops on the opposite side. 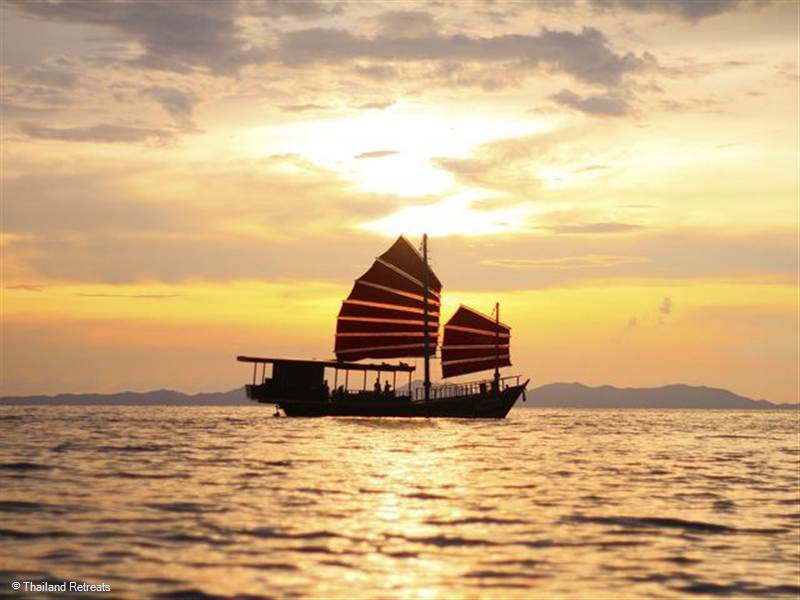 Apart from the beaches, watersports and stunning scenerythere are a host of other things to do and see in and around Ao Nang as listed in the 'Activities' section below. 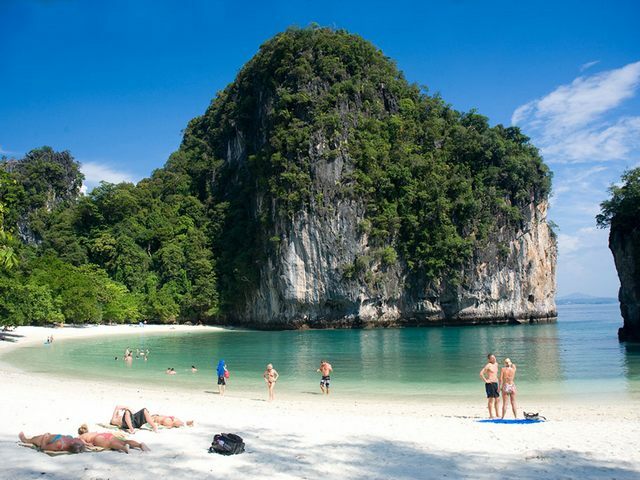 As with many of the tourist areas of Thailand, Krabi has it's fair share of spa and well being centres and in Ao Nang you are spoiled for choice from high end spa centres in the luxury hotels to beauty shops and massage parlours to offer you that little bit of pampering to recharge the batteries. The majority of our krabi villas also offer in-house spa and beauty services. 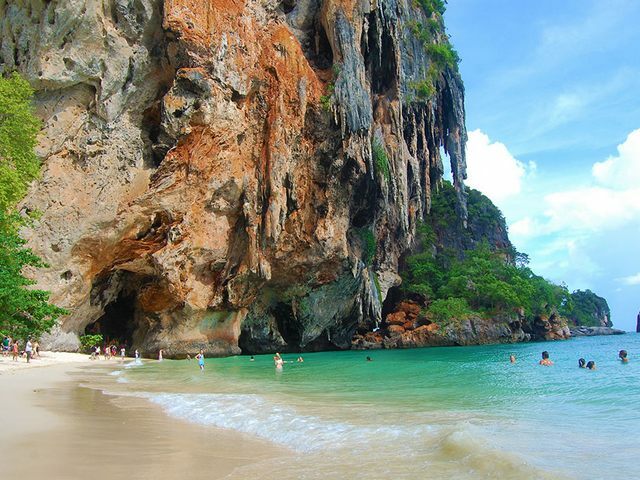 This beach forms part of Ao Nang town the most popular tourist area in Krabi. 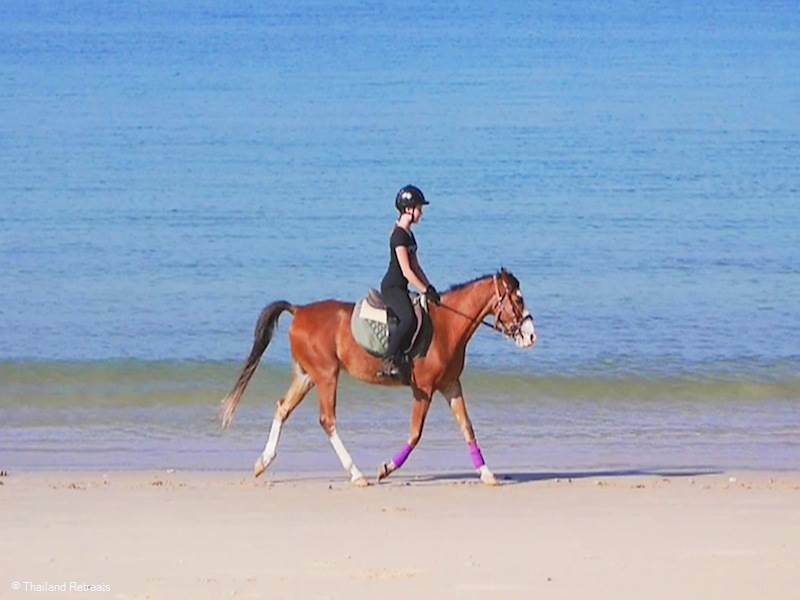 The scenery however of the limestone cliffs either side of the bay are stunning and you also have usual tourist amenities on your doorstep which many prefer. 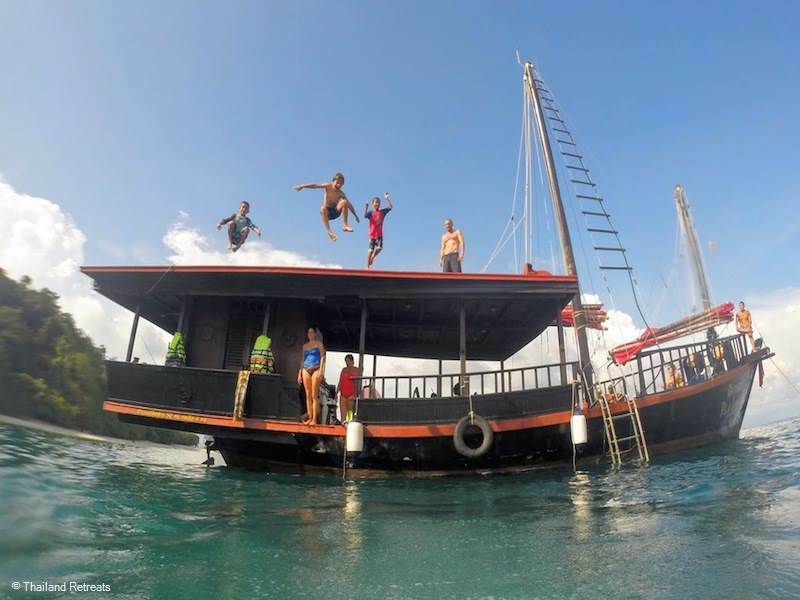 In the high season ( November - March) you will see the clear turquoise blue waters. The southern part of the beach is the better part of the beach to enjoy where it is less busy away from the long tail boats touting for business. 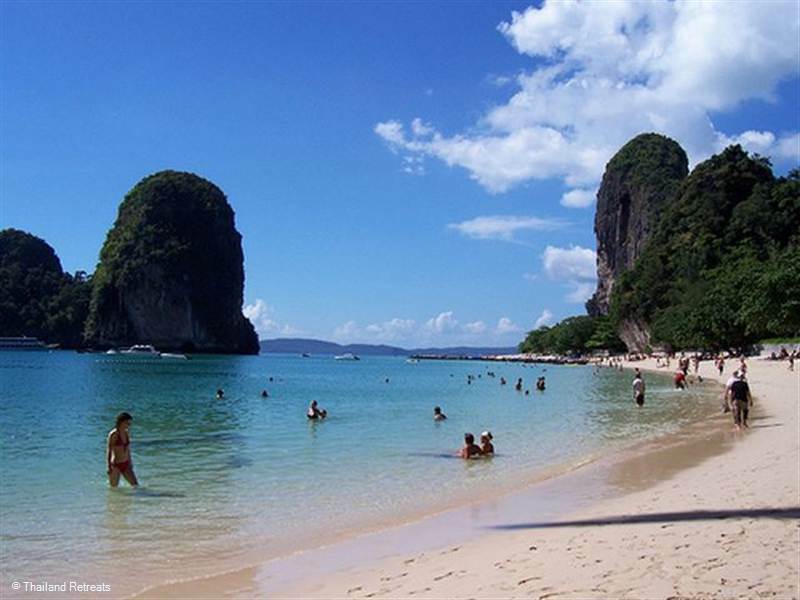 Nopphara Thara beach is a short tuk tuk ride for Ao nang located 2km north and this beach offers a more attractive and relaxed beach and good for children. The picturesque beach has been zoned as a National Park and during low tide you can walk across to the craggy limestone islands. The north end is the best area of the beach and has is a growing number of restaurants, shops and resorts along the road parallel to the beach. Tour boats to the islands also leave from this beach. These beaches are considered some of the best in the world and as they are backed by limestone cliffs, can only be reached by boat. 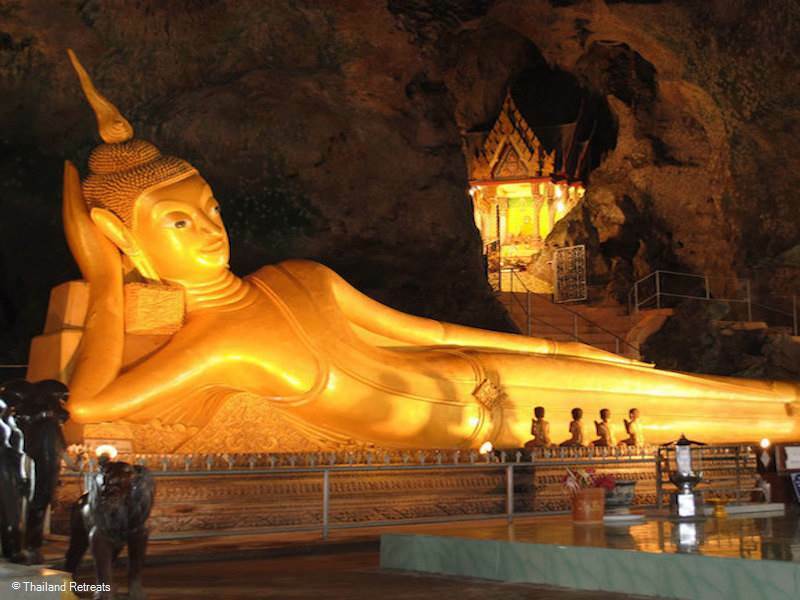 This takes 15 minutes from Ao Nang beach where many other tours depart from. There are bungalow resorts, hotels and restaurants on these beaches but again they can only be accessed by boat. This beautiful beach is usually visited at the same time as Railey beach as you can actually walk from Railey beach and takes 10-15 minutes. A boat trip direct to PHra Nang Beach is less than 15 minutes by long tail boat from Ao Nang and Krabi. There are caves just to one end of the beach that are fun to explore. 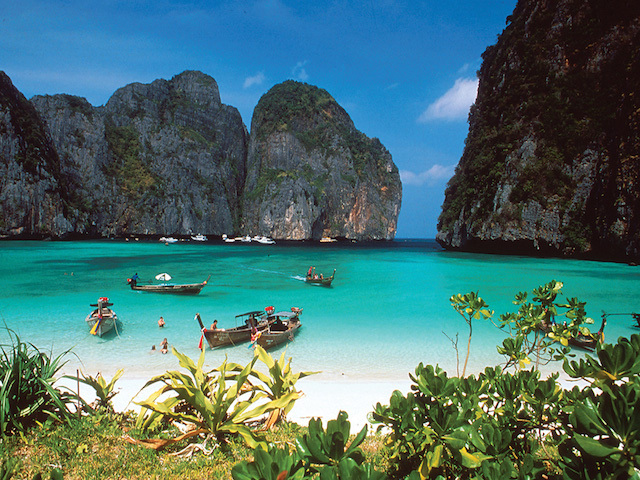 The Phi Phi islands are made up of 6 islands with beautiful beaches two of which particularly attract the visiting tourists are Koh Phi Phi Don and Koh Phi Phi Ley. 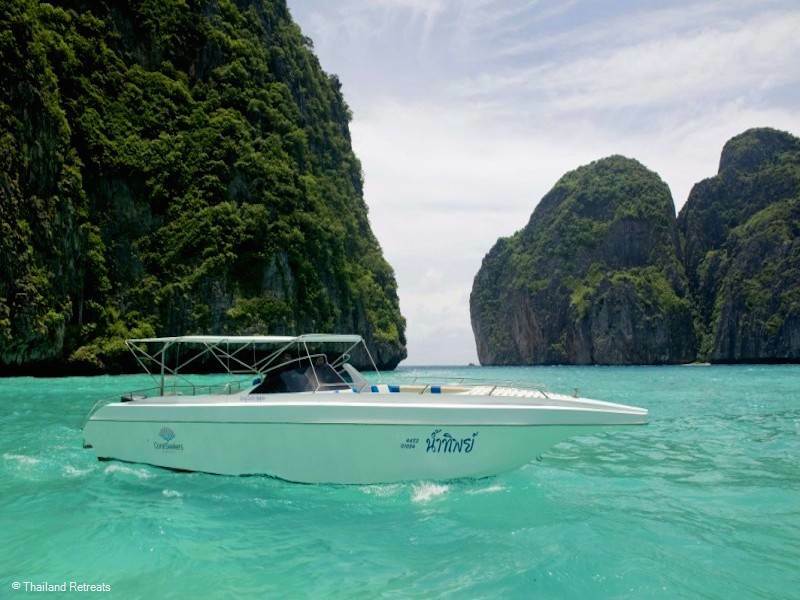 Apart from their beauty the Phi Phi Islands are popular with diving enthusiasts, kayaking and snorkelling in the crystal clear waters. 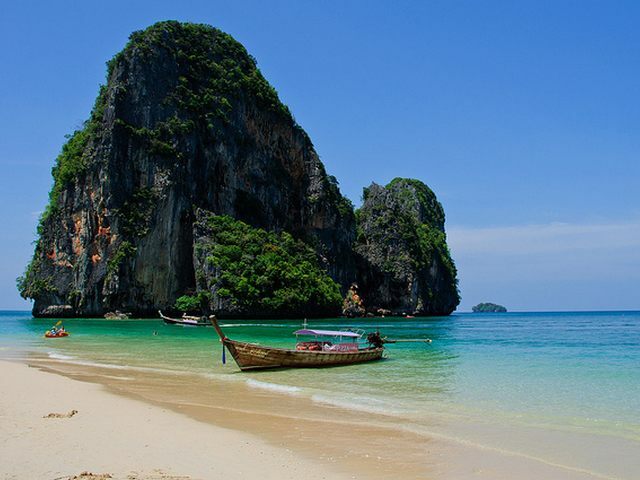 A visit to these beaches takes up to 2 hours from the Krabii mainland. The islands are also protected with National Park status for their natural beauty as they get very busy in the high season. Thai food is abundant in Ao Nang and Haad Nopphara Thara and is available 24 hours a day. Visit a traditional Thai restaurant, eat at a local market or try one of the many street vendors, who are based on every street corner. For those people who need a break from Thai food, a whole host of Western options are available. These include traditional English food, Indian Food, Scandinavian food, steaks, pizza and pasta (there are 6 Italian restaurants). 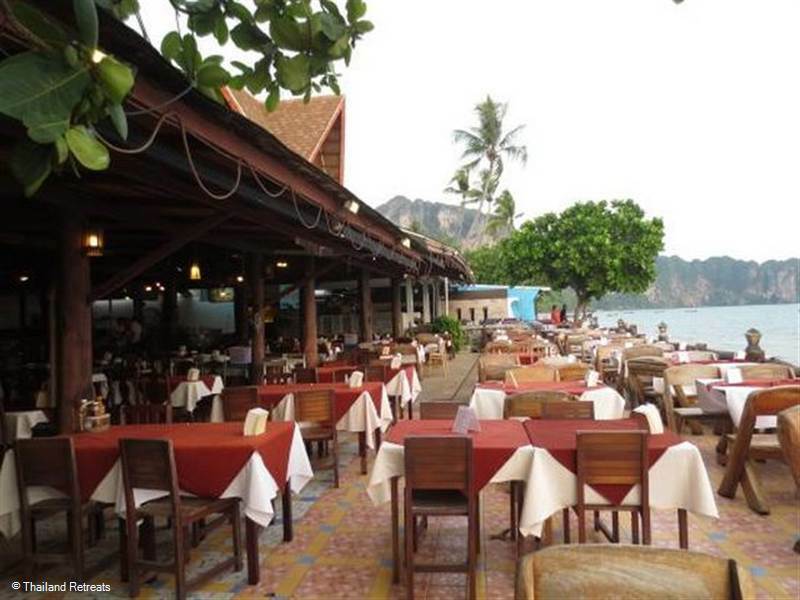 The majority of the restaurants line the beach road opposite the beach, however Ao Nang's Seafood Street is a different matter. 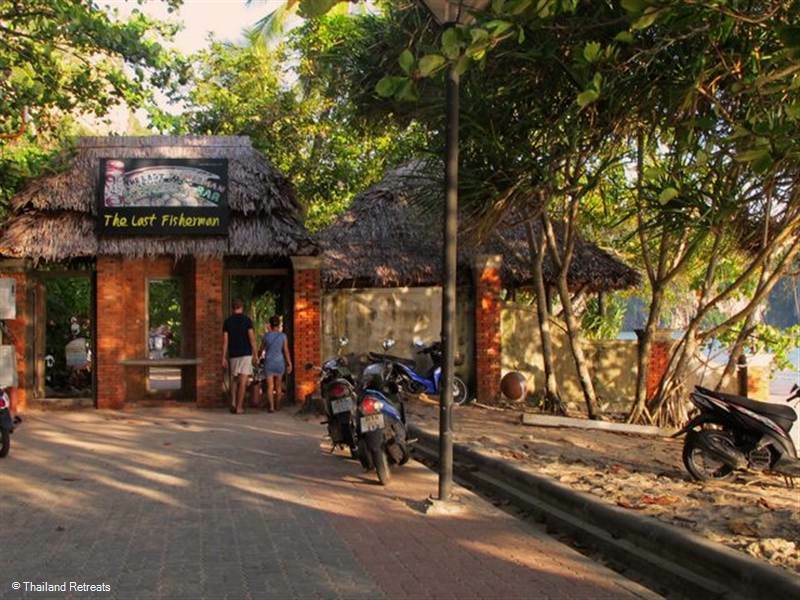 "Seafood Street" comprises of 6 seafood restaurants and is one of the most frequented dining places due to it's location overlooking the northern end of the beach ,which means it is a superb sundowner. All serve similar fare, so walk along and see which 'catch of the day' takes your fancy. The locally owned Ban Lay Thai Kitchen is a favourite or, for a fancier setting, try The Longtail Boat. As the restaurants are located over the water, tables fill up early at around sunset. They remain very busy until around 9.30pm, so you may have to wait for a table. At the southern end of the beach road is The Last Fisherman, set right on Ao Nang Beach. This thatched roof bar and restaurant made of recovered materials offers its punters a chill-out place at which they can dine mostly in the open air, with their toes in the sand under the shade of a coconut tree. Whilst it lacks wild nightlife and young party travellers will bore quickly, it does have a few relaxed bars including irish pubs and two nightclubs.